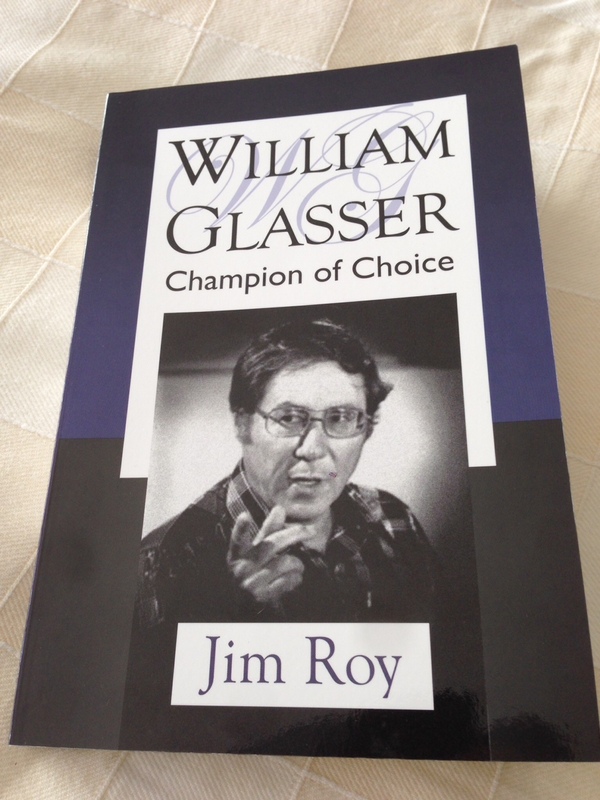 Glasser Biography Now Available | The Better Plan . . The Glasser biography has been printed and is now available! I knew the day would come, and yesterday it did come, as I received from the printer my copies of the finished book! It took longer than I thought it would to go through the editing and publishing process, but that is behind us now. I am pleased with the look and feel of the book, especially the inside look of the pages. Great font and spacing; it is very readable in that way. Hopefully, you will find it readable in every way. The first interview I conducted with Glasser took place on September 26, 2003. It’s hard to believe it’s been more than 10 years since that moment we began in his Los Angeles home. I didn’t start out as his biographer. I approached him about my completing a dissertation on the development of his ideas. He agreed and the interviews began. After our third interview he began referring to our work as his biography project, something I was open to, although I had no clue at the time of the implications of what it would mean to become his biographer. 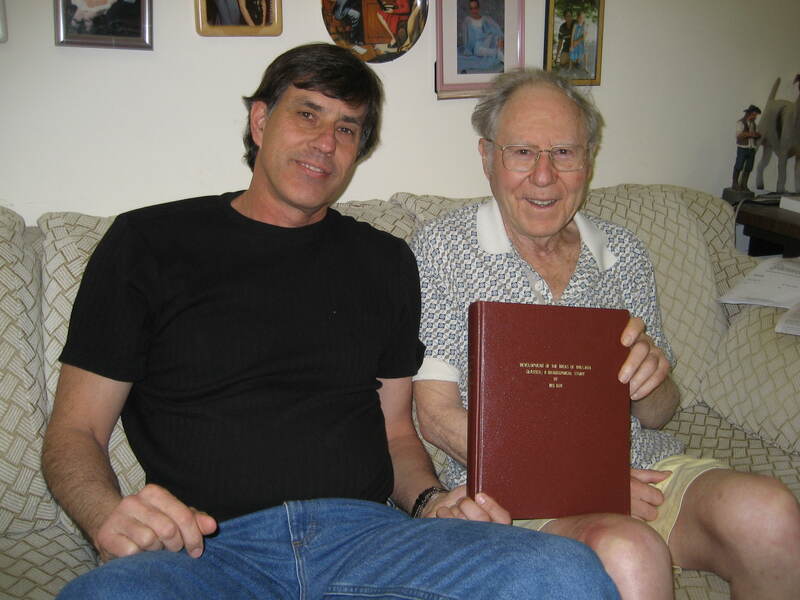 At the 2004 international Glasser conference in Schaumburg, Illinois, he surprised me during the banquet when he officially introduced me as his biographer. I realized then that the project was going to be more than a dissertation. I presented a copy of my dissertation to Glasser in 2007. We continued interviewing together through 2008, although we talked pretty consistently even after the formal interviews had stopped. He filled in details as I ran into missing pieces of his story. He was always glad to visit about his ideas. The biography project was important to him. I wish that I could place a copy of his biography in his hands today. I really wanted to do that; I think he wanted that, too. We would have enjoyed holding something so tangible as a representation of all that we had worked on together. And for him, with the book representing his life and work, it would have been even more significant. The biography is now available, and you would think I would be able to tell you about how to get a copy. But alas, I cannot . . . yet. My copies were shipped from a printer in Illinois, although I am pretty sure the printer will have nothing to do with sales and shipping. The publisher is Zeig, Tucker & Theisen Publishing, but as of this morning there is no announcement on their website about the book. I know that Jim Coddington at wglasserbooks.com is going to have information about the biography, but nothing yet there, either. I will be in touch with the publisher on Monday and will get all of the ordering information, which I will immediately pass on to you. For now I am enjoying going through the book and re-reading portions of it myself. It has been a while since I have written it so it is like bumping into a good friend who you haven’t seen in a long time. It has been good for me “catching up” with the Glasser story. I treasure my pre-release copy of Champion of Choice, but it doesn’t have the Foreword. Is there any way you could post it to The Better Plan? That is something I am open to. Bob did a very nice job with the Foreword. Unfortunately, I don’t have a digital version, so I would need to re-type it in. I still might do that, though. You are kind to even think of re-typing it. I will be patient a little while longer until Jim Coddington sends the word that he is ready to ship. CONGRATULATIONS, JIM ON A JOB EXTREMELY WELL DONE!!! Thank you, Tom! Your support was a big factor in the job getting done. Way to go! You are an amazing author and I’m so proud of you. Wow! Rachel. Your support has meant so much to me through the years. Maybe there is another book in me yet. Whoo-hoo! Fantastic job. Revel in it before you take on another challenge. Unless the challenge is replacing the fence. Then you don’t have to linger – ha! Proud of you, Himay. Jim! It is fitting that you get copies first—and the rest of us will be super happy when it’s our turn! Wonderful…. Wowowow! I am elated at this. You must be deeply satisfied at this accomplishment. Thank you, Tim. I feel that you were an important part of the biography being written, which I have acknowledged in the book. I so appreciate your help and support during this writing project. Yes, I am satisfied, and that feeling grows every day, although much work remains. Marketing the biography and getting it into readers’ hands is the challenge now. But, what am I saying? It’s all good! Thank you for contributing to my celebration! Congratulations to you Jim. You have what it takes to make it through the struggles that derail all of the other would be book writers – something to truly be admired. Here’s to successful sales and a wide audience of readers. Thank you, Bob. A wide audience of readers would be great! Hurrah! The cover looks great! No icky fall leaves or yucky pictures! I can’t wait to read it and share it with people. Keep on holding the banner high for Choice Theory/the Better Plan! Thank you, Sonya. The cover turned out alright after all. And may everyone who reads this be a part of holding high the choice theory banner! Thanks for celebrating with me on this!